With its team of experts in the polycarbonate and roof glazing fields, Twinfix works on developing the best, newest and most cost-effective roof glazing products. 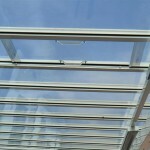 A family business, Twinfix has been involved in the polycarbonate roof glazing market for nearly 25 years. 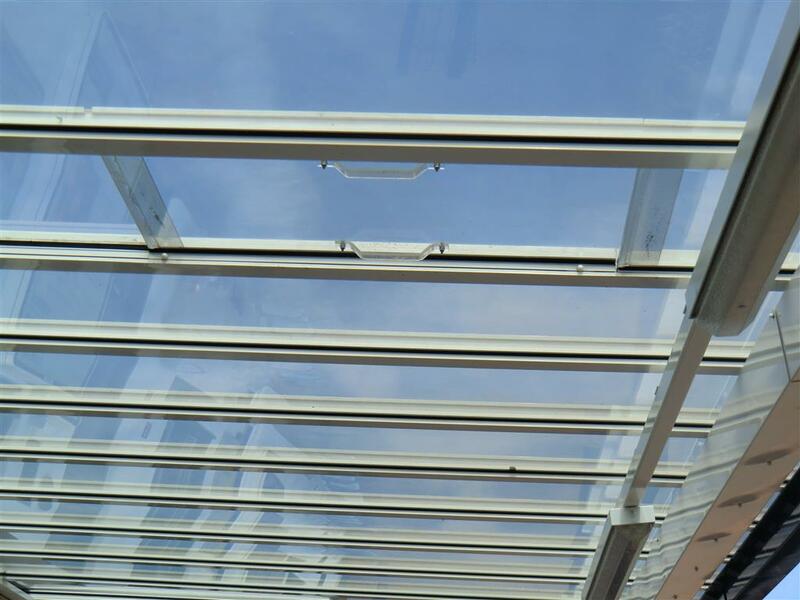 Starting out as Thermoclear UK, it was the first British company to offer a range of 60mm wide glazing bars suitable for installing both multiwall and solid polycarbonate and it offers a wide range of progressive glazing options using this tough glazing material. 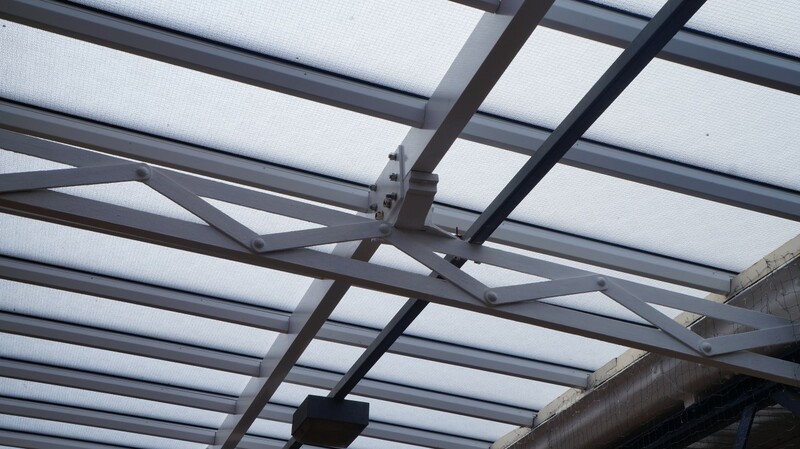 Its innovative Multi-Link-Panel has been used in many different markets, such as in the replacement of broken glass or failed PVC in station canopies and depot rooflights, where its patented fixing method results in incredibly quick installation times – a real bonus when working with limited possession times. The Multi-Link-Panel is a cleverly designed and well-engineered roof glazing concept that combines simplicity with sophistication. It has long been available as a non-fragile system that conforms to the HSE’s approved drop test for non-fragility, ACR[M]001:2011. 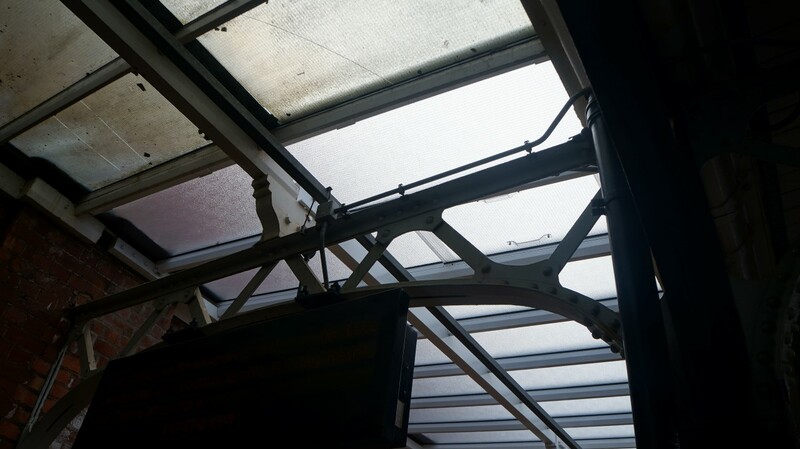 The Multi-Link-Panel NF is used extensively in the refurbishment of large station canopies, where it is used to protect anyone who gains access to the roof. These panels are also available with a thermal break for roofs that need a low U value, Multi-Link Thermal. There is also an option filled with Aerogel that offers even better energy savings. 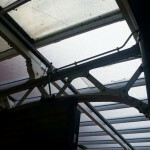 Experts in glazing systems and the actual polycarbonate material itself, Twinfix’s forward-thinking approach to the construction market has led to the introduction of GW Polycarbonate, a 6mm obscured solid polycarbonate that looks like Georgian wired glass. 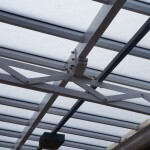 It offers all the modern-day benefits of polycarbonate – it is virtually unbreakable and light in weight. This material can be used in Heritage areas and has been approved this year by the Parliamentary Under Secretary of State for Communities and Local Government, for use in Grade II listed buildings. 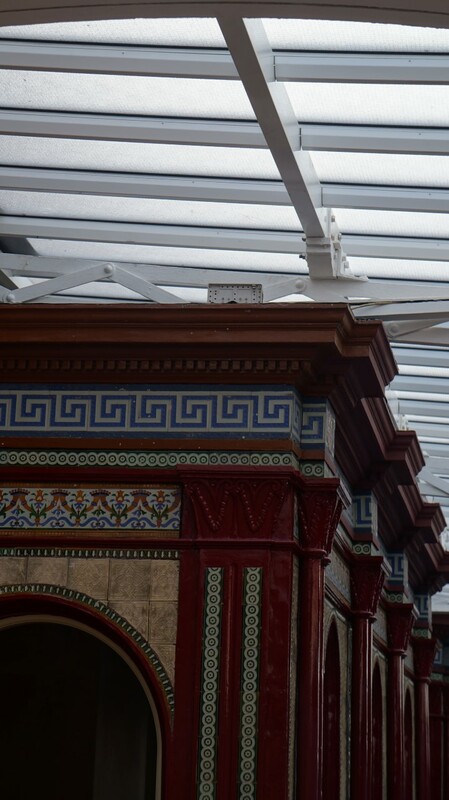 Twinfix’s GW Polycarbonate appeals in the rail marketplace because it is possible to retain the traditional old charm of a station while providing modern levels of safety for passengers and staff. 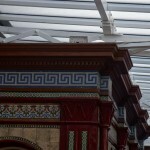 Worcester station is a prime example of this; it features beautiful Victorian wall tiles, in which a modern-style roof would look completely out of place. Twinfix’s solution was to glaze with 6mm clear obscure GW Polycarbonate that is fitted within a modified Multi-Link-Panel NF. 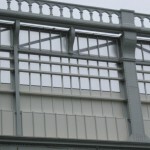 The company has designed pressed aluminium cappings that have been manufactured in house and then retro fitted over the upstands and bases of the profiles, further simulating the original glazing system that was replaced. 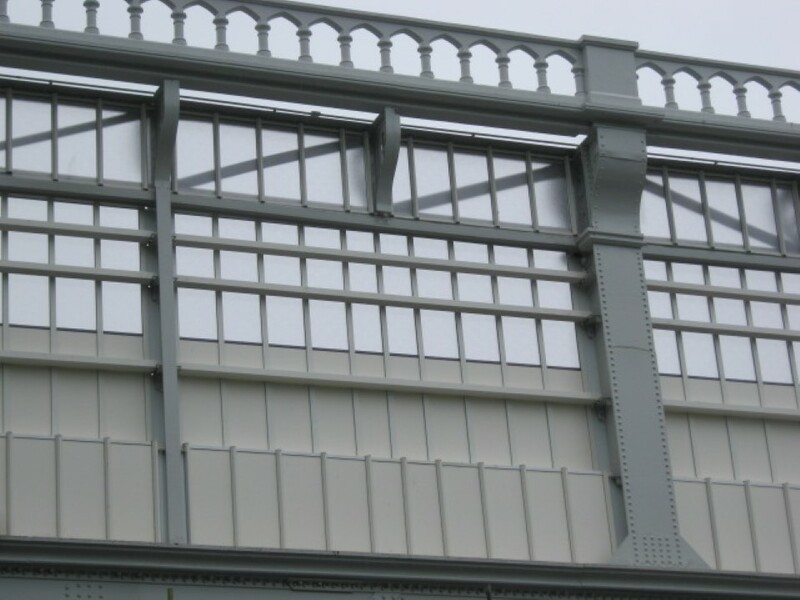 A different, but no less testing, solution was required in the refurbishment of the bridge that runs into Shrewsbury station. This had deteriorated so badly that Twinfix needed to design a new aluminium support system on which to fit polycarbonate glazing and Trespa panels. It proved to be a complicated project that involved two rows of solid obscure glazing sited above two rows of double-sided white Trespa panels. The top three rows were fitted from the inside while the fourth row of Trespa had to be installed from the side closest to the river. The Twinfix 287/283 aluminium structural bar system was used to install all four rows, which required great care to match up the sight lines. 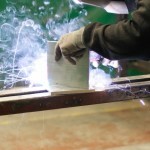 Always looking for innovative ways of providing solutions to its customers’ needs, it was a natural step for Twinfix to commence manufacturing its own pressed and fabricated aluminium items – such as bespoke gutters, cills, roof flashings and louvres – that can be powder coated to match individual project requirements. Network Rail recently tasked Twinfix’s team to develop an in-line access hatch for its Multi-Link-Panel. This is now in production and its use means that rail maintenance staff can clean out gutters from underneath, which is much safer than having to do it from above. Twinfix have been accredited to CHAS and Link-Up for many years, is a member of the construction supplier database, Constructionline, and is understandably pleased that it has recently been granted ISO 9001 status. 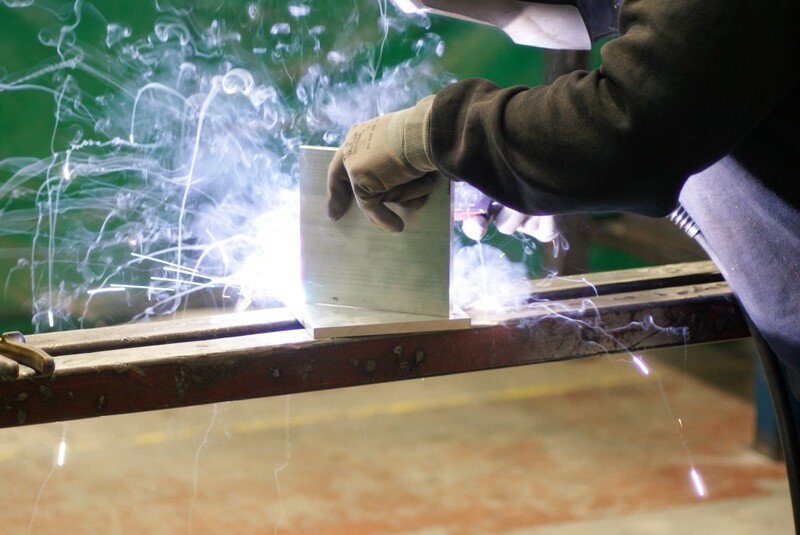 With UK manufacturing often considered in decline, Twinfix is striving to buck the trend and demonstrate its skills in the construction opportunities available to them. With the backdrop of projects such as Crossrail’s great engineering tunnelling work, UK manufacturing and engineering is in rude health.